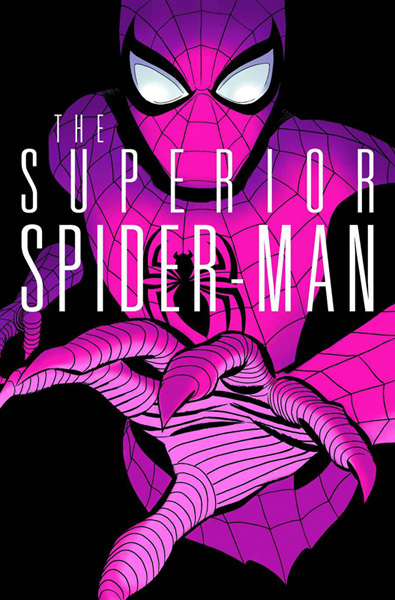 Just as I was trying not to write yet another SSM review, Dan Slott takes this series on yet another left turn in the life of Otto Parktavius. And yes, I know that there is a lot of hatred and vitriol for what Dan has done to a tried and true classic character. Yes, this ain’t your daddy’s Spider-man. When J Jonah Jamison gets into an argument over a fascist state Spider-man, you know something different is going on. Well, like it or not, the reality is, Slott is doing something that the rest of comicdom hasn’t really been ballsy enough to do. Take a well known character and make such radical changes that it actually shows some signs of progression and here you see it as people from all walks of life realize more and more that their friendly neighborhood Spidey isn’t so friendly, Peter disses MJ and may have another woman smitten with him, Spidey’s arch nemesis (Dan if it’s Norman, you need to explain the hows and whys sir!) finds a weakness in Spider-man’s surveillance while building up an army, and also we see Peter having a quiet moment with family and being requested to stop helping Spider-man. Again, hate the series if you want but you are missing out on a very competent and enjoyable story from one of the biggest controversies ever in comics and all I can say is if this ever gets ret-conned, some of us will miss it. Ok, I get a little bit nervous whenever a Justice League comic comes out and it starts moving away from the core group. My last foray into reading any Justice League comics was nearly 5 years ago an didn’t last long because the members at the time have so many B and C list characters that it was almost unreadable. So, the cover felt a bit misleading with what actually happened in the story itself but in short, the story sets up the impending JL vs JLA story arc which is coming soon. 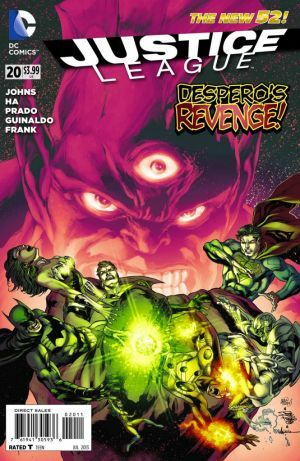 The basis of the story is that Atom, Firestorm and Element Woman face off with Despero on the Watchtower. Martian Manhunter shows up for the assist and in the meantime the core JLers are investigating who broke into the Batcave and to top it off, Atom is being forced to choose after we find out she may be doing mole duty. It was a bit hard to get into but a good finish and I am anxious now to see what’s going to happen when heroes from different sides clash. Just when I was about to give up on the Avengers comics, Hickman and Deodato give me a reason to come back in. This is a slick rendition on an Ocean’s 11 or James Bond kind of story where the team are tasked to find out what kind of new bioweapon they are selling after becoming its on sovereign nation. 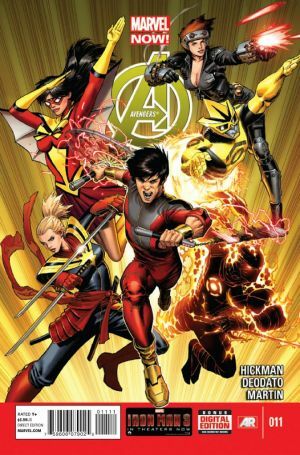 This book was indeed enjoyable and while parts of the team are busy skulking around, Shang Chi is busy getting his Bruce Lee on. I am maybe one of those few who can honestly say that Hickman’s writing is hit or miss for me but this was a hit. Brisk dialogue, enjoyable scenes with the help of Deodato’s art and just an overall fun issue. I can honestly say that I was slightly sad when the end came. I may just come back and add some to this list but what can I say? It’s Memorial Day weekend!! Go get some SUN! Wasn’t Avengers awesome???? I’ve been somewhat satisfied with Hickman’s take so far, but this is the sort of fun romp the book needed. Also, I’d forgotten how awesome Shang Chi is. Yeah cuz Marvel forgot how awesome Shang Chi is.